William Macaulay became a land baron at only six, when he inherited 400+ acres of land in Hallowell from his father, a wealthy merchant with sizeable land holdings through eastern Ontario. But the young Macaulay wasn’t always wise with his wealth – and his debt management inspired the Escape Macaulay House experience. While William’s brother, John, decided to pursue a career in government, William looked to the church. He completed a degree in theology at Oxford University, was ordained in 1819, and settled at Hallowell to establish The County’s first Anglican parish, now part of Macaulay Heritage Park. 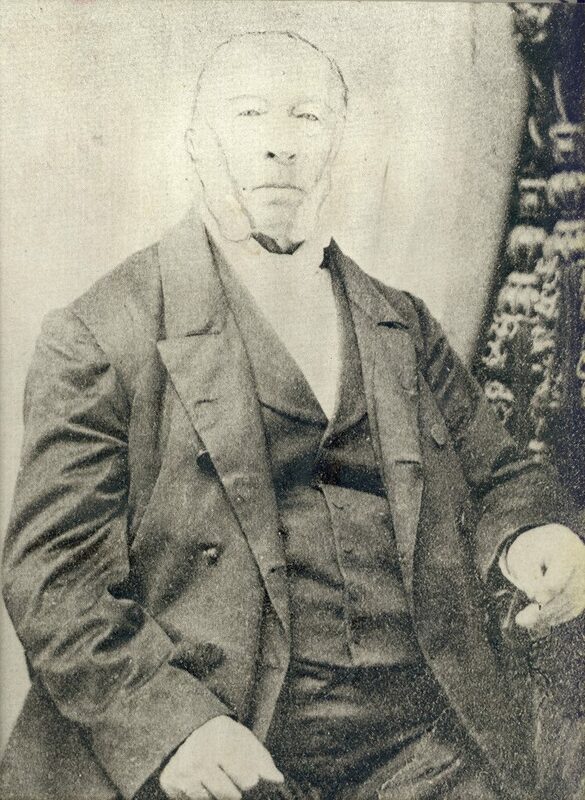 William married Ann Geddes in 1829, and due to his extensive land holdings and family connections, they lived in relative comfort. While land-rich, Rev. Macaulay was not particularly savvy with his money. Family letters reference debts owed to local merchants, as well as those in Kingston, Toronto and elsewhere. His brother John frequently wrote to their mother complaining about William’s flippant attitude regarding his debts, and annoyed with the fact that William sometimes borrowed money against John’s good name without asking permission. A seemingly casual attitude toward paying off these debts, combined with a tendency to not collect rent from tenants on his land and his wife’s chronic poor health, meant that the Reverend often found himself in a tight financial spot. This did not bode well for those employed by him. The Macaulays, as a prominent local family, employed a household staff consisting of between two and four female servants: one to cook, and the others to keep house, do the washing and attend to the family’s general needs. There were also a small number of male labourers who worked Macaulay’s farm and tended to the family’s livestock. 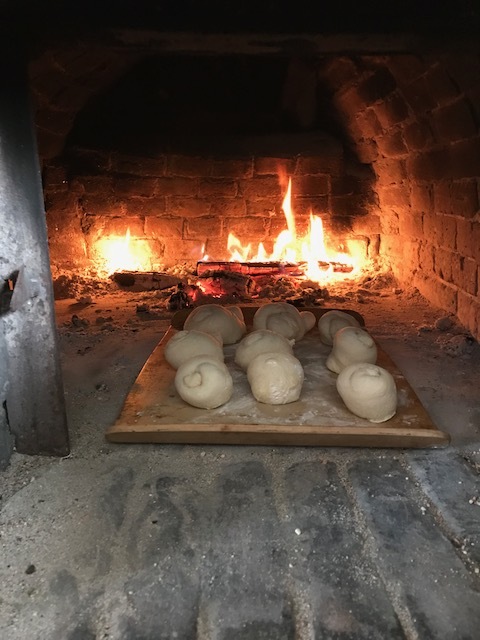 Being a domestic servant in the mid-19th century was no picnic, as all members of the household staff were awake well before the Macaulay family to ensure that the Reverend and his wife were kept warm and fed. The female staff would creep down the servants’ staircase before dawn to start a fire in the hearth in the home’s main kitchen, and get to work on the day’s tasks. 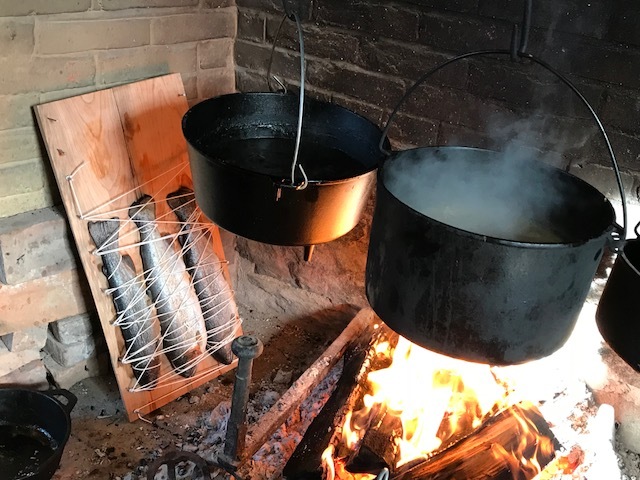 The fire stayed lit the whole day to cook the family’s meals, boil water for bathing and washing, and to generate heat for the entire home, including the female servants’ quarters, which were directly above this main, winter kitchen. 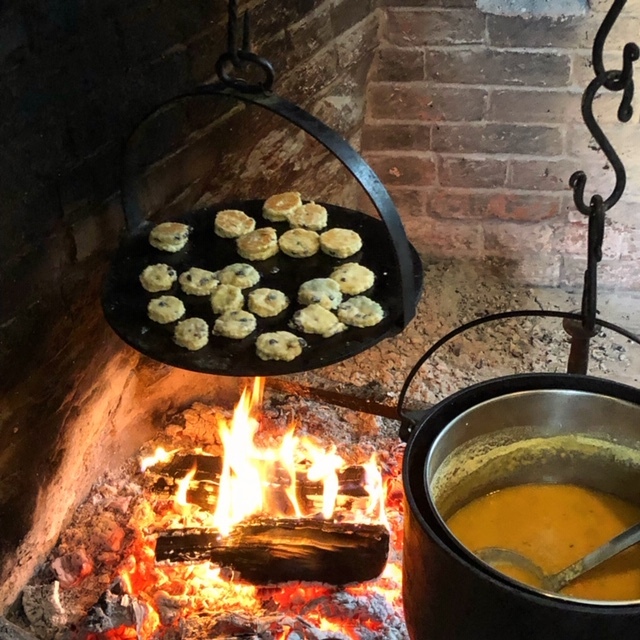 In the summer months, the female staff would move out of the winter kitchen and cook over a stove in the cooler summer kitchen. This kept the rooms used by the Macaulays at a comfortable temperature. The accommodation for male staff, however, was directly located above the summer kitchen. This unfortunately meant that it was freezing cold in winter and stiflingly hot in summer. Wages for domestic servants depended heavily on how many staff worked in the home, and whether a household was rural or urban. In the case of the Macaulays’ staff, by the mid-1840s the manager of their farm had an annual wage of about £23 per year (approximately $5,000 in today’s currency). The family’s cook was paid about £5 annually, and the other female servants likely would have earned less. Their room and board was always looked after, and the money they earned was often put into savings accounts or sent overseas to family members. In 1846, however, Ann Macaulay wrote to her brother-in-law expressing anxiety and feelings of regret because she and her husband had been unable to pay their servants for months on end. It is this instance that inspired Escape Macaulay House, The County Museums’ new Escape Room – an experience that enables players to explore Macaulay House in a way they never expected. 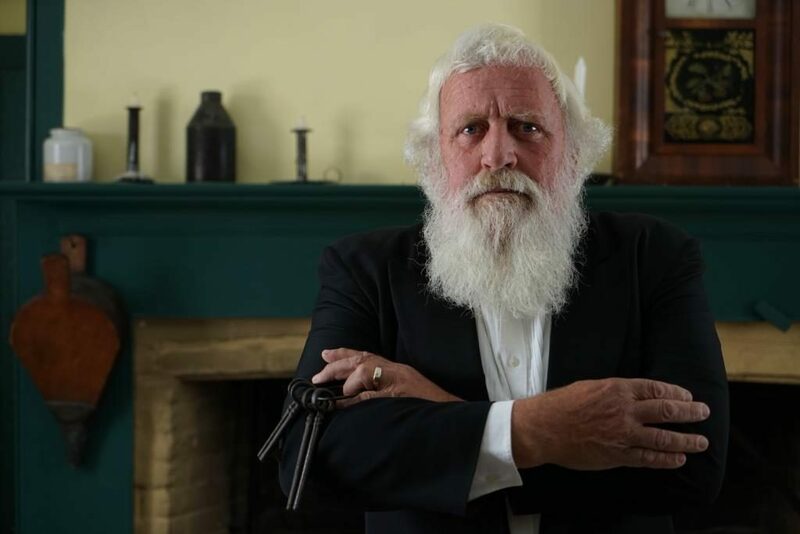 Solve puzzles, find clues and help the servants of Macaulay House get their due! Book a team of two to six players, and see how well you can work together to make sure everyone gets paid. For more information and to book tickets, visit www.visitpec.ca/escape.